Hyuuga Neji (Neji Hyuuga in the English anime) is a character in the manga and anime Naruto. 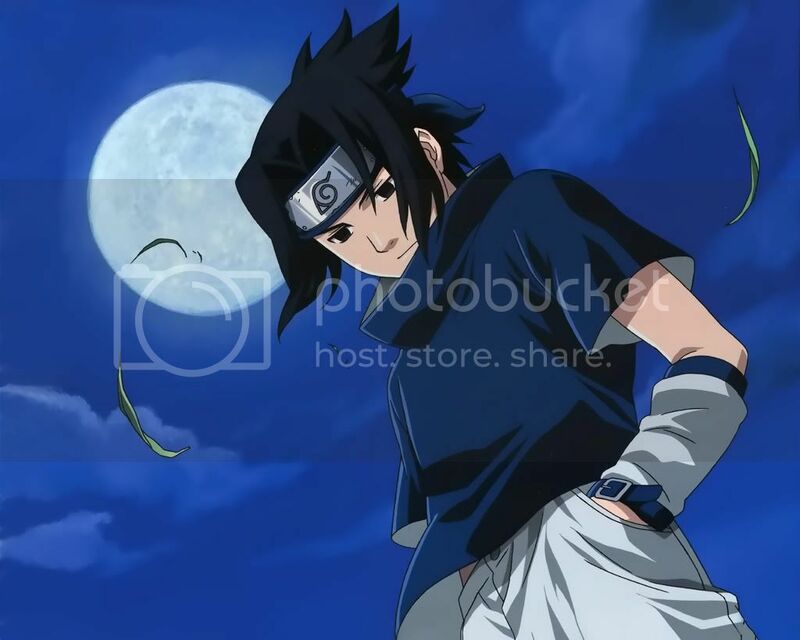 A Genin at the start of the series, Hyuuga Neji is the #1 rookie of his Ninja Academy graduating class during the first several volumes of the manga. He is also considered to be the strongest and most talented of all the Konoha Genin who attended the Chuunin exam during that arc, and is the first of them (and currently the only one) to become a Jounin. A member of the Hyuuga Clan, branch house, Neji can never be leader of his clan despite his mastery of the Jyuuken and Byakugan (Viz "Evil Eye") being advanced to the point of being able to see the chakra opening points. Neji also has a very powerful defense in the form of the Hakkesho Kaiten (Eight Trigram Palms Heavenly Spin), along with the Hakke Rokujuyon Sho (Eight Trigrams Sixty-Four Palms), (and, in the anime, the Hakke Hyaku Nijuha Sho (Eight Trigrams One Hundred Twenty-Eight Palms)) which effectively seals off a person's chakra points, rendering them completely unable to channel any chakra. However, his Byakugan does not have a complete 360° vision due to a blind spot located behind his first thoracic vertebra. He is a very heavy taijutsu user, naturally being proficient in the Leaf's strongest taijutsu style: Jyuuken (Gentle Fist). Since taijutsu are physical attacks, he is a good close range fighter, and a long-range defender with his Kaiten. Neji used to be particularly bitter about his own destiny, forced on him by the fact that his father, Hyuuga Hizashi, was born into the world after his uncle, Hyuuga Hiashi, even though they were twins. This made Hiashi a member of the main family and Hizashi, as well as Neji, a member of the branch family. In his childhood, Neji had nothing against the main family as he was probably being too young to fully understand the implications of being a branch family member, but as he grew up seeing his father feeling nothing but hatred for his own brother and the main family, he gradually came to resent it himself. His resentment only deepened as he witnessed his father enraged first hand while watching Hyuuga Hinata, Hiashi's elder daughter and then the destined Hyuuga main family heir, train with her father; for he knew that his own son, Neji, will never be the heir of his clan. Detecting Hizashi's vibes of animosity, Hiashi activated the Juin (Cursed seal), putting his brother in immense pain as his nerves were being attacked. It was Neji's first encounter with the Hyuuga Curse Seal. It was not until the incident with Kumogakure (Hidden Cloud)'s and Konohagakure (Hidden Leaf)'s peace treaty, however, that Neji truly became who he were when he showed up for the Chuunin exams. The two villages, which were at war with one another, apparently decided to sign a treaty, and for this representatives from Kumogakure arrived. On the same day, the very same curse seal that tortured his father was put upon Neji himself; and that night, the ambassador from the Lightning country attempted to kidnap Hinata, revealing that the intention of the "treaty" was all along to get into the Fire country and acquire the secret of Byakugan. Hiashi detected the intruder and killed him at once, for which Kumogakure, absurdly, requested payback in the form of Hiashi's dead body. That day, Neji's father was sent to his death instead of Hiashi, and Neji grew up believing that his father was sent against his will to protect the Hyuuga clan's secret bloodline. This chain of events drove him to the point of believing that destiny, what we are born as and our features are decided from birth and there's no way to escape or change them; he was also arrogant, cynical and holier-than-thou. Thanks to Naruto he has completely abandoned this attitude, however, and now no longer judges and labels people, believing in their power to change their fates as well as his own. Neji was in the same Genin team as Rock Lee, Tenten and their Jounin sensei Maito Gai. Although Neji is now a Jounin, he still does missions with his old team. Neji and Lee have a rivalry going on, which, not unlike the rivalry between Gai and Hatake Kakashi, mostly comes from Lee's side. Lee, who has been fighting against his fate as a worthless shinobi all his life, tries desperately to prove himself to the world in general and Neji in particular. Neji has mocked Lee's dream of becoming a fine shinobi, saying one cannot go against fate. After Neji's defeat by Naruto, he seems to have warmed up to Lee. Tenten is often seen sparring with Neji, which usually consists of Tenten honing her skill with throwing weapons and Neji deflecting the weapons with his Hakkeshō Kaiten. The two of them are often equally annoyed with Lee and Gai's overreacting and childish behaviour. Although he is often annoyed with his team members and can act rude to them, he is willing to fight for them when necessary. Though he appears calm and stoic on the outside, Neji is full of pent-up hatred for the main house, which culminates when he is randomly chosen to be Hinata's opponent in the chuunin exam third stage preliminaries. He tells her that she is a harmony-seeking person not fit to be a shinobi, and that he can see that she wants nothing more than to be somewhere else; when she stutters that this is not true, and that she entered the exam because she wanted to change herself, Neji concludes that she is truly a spoiled child of the main family, believing in such absurdities, and gives her a stern speech of absolute determinism about how people cannot change. In doing so, however, he terribly enrages Uzumaki Naruto who had sympathy for Hinata as it was, and is probably the last person who will stand aside while somebody else carries speeches on how dropouts remain dropouts. Naruto calls for her to stand up for herself and this actually gives her the willpower to stand up to him, something Neji definitely did not fathom was a possibility. Even though he is far stronger than Hinata and manages to knock her out again and again, she refuses to give up and carries on fighting, and Neji, though still in a superior position, starts sweating as people who refuse to accept their "fate" do not fit into his world-view. When Hinata actually dares to tell him that he is actually the one suffering at the hands of fate, and trying with all his might to fight against it, he nearly kills her in a fit of rage, but is stopped at the last moment by the Jounin supervising the battle. Neji further calls both Hinata and Naruto dropouts subsequently after the fight, and this is the bursting point for Naruto who runs toward Neji to attack him, only to be prevented by Rock Lee who reasons that even a dropout can defeat a genius with enough training, but it has to happen in a proper fight. Naruto grudgingly accepts this, but is still so outraged that he swears on Hinata's spilled blood that he will defeat Neji in battle. A month afterwards when Naruto and Neji actually engage in battle in the third stage main event, Naruto continuously confronts Neji about his attitude and the way he treated Hinata, until Neji decides that if he cares so much, he will tell him about the sad story of his twin father and uncle. While Naruto is shocked at the tragedy, he refuses to acknowledge it as an excuse for how Neji is acting, and berates him for his hypocrisy, going on about fate but defying his in a twisted way, almost killing Hinata where as a Hyuuga branch family member it is his duty to protect her. Though Neji manages to block Naruto's tenketsu completely, Naruto harnesses the power of Kyuubi by concentrating about how he is now fighting for Hinata as he promised and for Rock Lee, who always wanted to fight Neji to prove that a hard worker can surpass a genius, but is now incapable of doing so himself because of the injuries he sustained in his battle with Gaara. With the power of the Kyuubi, Naruto is able to overwhelm Neji and wins the battle. Realizations and elations rain on Neji that day as Naruto's speeches on the fact that people can change, himself being an obvious in-your-face example for this, combined with his uncle's explanation that Neji's father chose to sacrifice himself for the clan rather than doing it involuntarily, completely redesign his view on the world, amounting in the conclusion that even a bird in a cage, if smart enough, and with enough willpower, can open the lock with its beak and soar in the skies again. Kishimoto Masashi says: "The theme for the Neji-Naruto fight is "destiny." I wanted to express the difference between Neji who believed that destiny can't be changed and suffers within that belief and Naruto who lives to change destiny while looking forward." Some time later in the series, the reformed Neji joins Nara Shikamaru's squad (consisting of Uzumaki Naruto, Inuzuka Kiba, Akimichi Chouji and later also Rock Lee and Gaara, Kankuro and Temari who arrive just in the nick of time to bail out a member of Shikamaru's squad who is in dire straits) on the failed mission to prevent Uchiha Sasuke from crossing over Hi no Kuni (Land of Fire)'s borders and into the Oto no Kuni (Land of Sound) and Orochimaru's control. He confronts Kidōmaru of the Sound Four, risking his life for the sake of his comrades, sustains critical injuries and at one point coming inches from death, surviving only thanks to treatment by a med-nin team that is prompty dispatched. In fact, during the fight against Kidōmaru he feels for once how it is to be on the hopelessly disadvantaged side while your opponent taunts and mocks your hopeless predicament, as he has done to Lee, Hinata and Naruto. Much like they did when up against his former, bitter self, Neji refuses to give up and fights with feverish determination; and this is what enables him to emerge victorious in the end. At the epilogue of the first part of the manga and anime, Neji is shown having friendly conversation with Hinata and training with Hiashi, and they later all have tea together, symbolizing that the internally bleeding Hyuuga clan seems to finally be coming to terms with one-another.